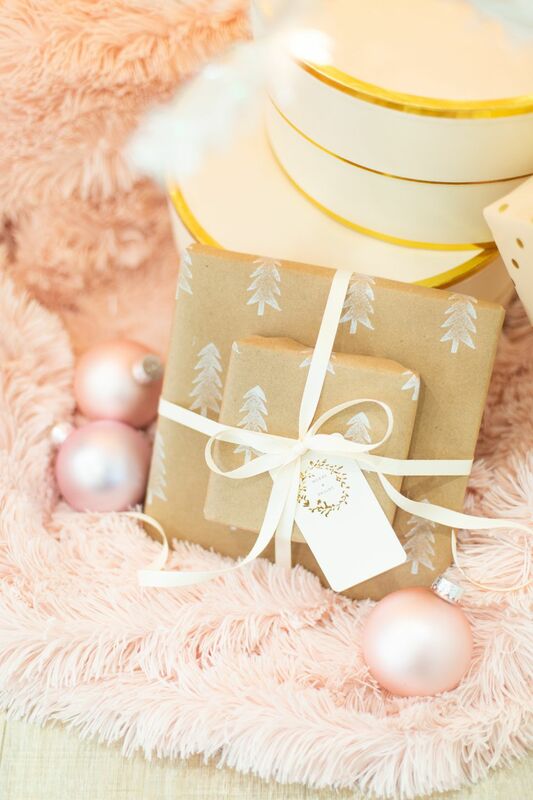 When it comes to gift giving, it's the thought that counts—and what better way to show the love and care you put into your gifts than by wrapping them in some handmade gift wrap? Whether you just love to get your DIY on or you find yourself with a gift but no wrapping paper, this project is a fun and creative way to package up all of your holiday presents. And, if once the holidays are over and you just can't get enough, you can customize this for any celebration or season you like. The hand-carved stamps create a unique pattern on simple kraft paper, and it's a technique that you can use again and again. Carving stamps is an art in itself, but don't let that scare you! With some basic materials that you may already have, along with a few simple techniques, you can dip a toe into the art of hand-carved stamps to test your skill. Start by using your pencil to lightly sketch your image onto your pink eraser. Holiday images, like trees, snowmen, snowflakes, reindeer, or ornaments are a perfect place to start. You may want to practice sketching your image a few times on scrap paper first. Once your image is drawn, use your craft knife or carving tool to carefully trace along the outline of your sketch. If you're using a craft knife, slice into the eraser about halfway into the depth, being sure not to slice the entire way through to the bottom. Begin cutting away the excess eraser on the outside of your sketch. Do this by slicing into the sides of the eraser, just up to the point where you traced the outline of your shape. Then use the craft knife or carving tool to dig away the excess so that your image starts to become raised. Continue using the same method to cut away the remaining eraser from your image. Be careful as you work to not cut so deep that you cut away part of the image. Go slowly and just cut away small pieces at a time. You want to be sure to cut deep enough that no excess eraser is raised enough to get ink on it, but not so deep that you cut all the way through the eraser. This will make it easier to hold the stamp as you press it into the paper while you're stamping. Test your creation on some scrap paper! Press the image face down onto your ink pad, then onto your kraft paper. Press evenly on the image and pull away the stamp. Use the same stamping technique on your kraft paper! Predetermine your pattern so that you can plan where and how many images you'll stamp. We used a staggered pattern with the tree stamp, which filled the wrapping paper nicely. Complete your stamped pattern, allow the ink to dry and set, and then wrap your gifts. 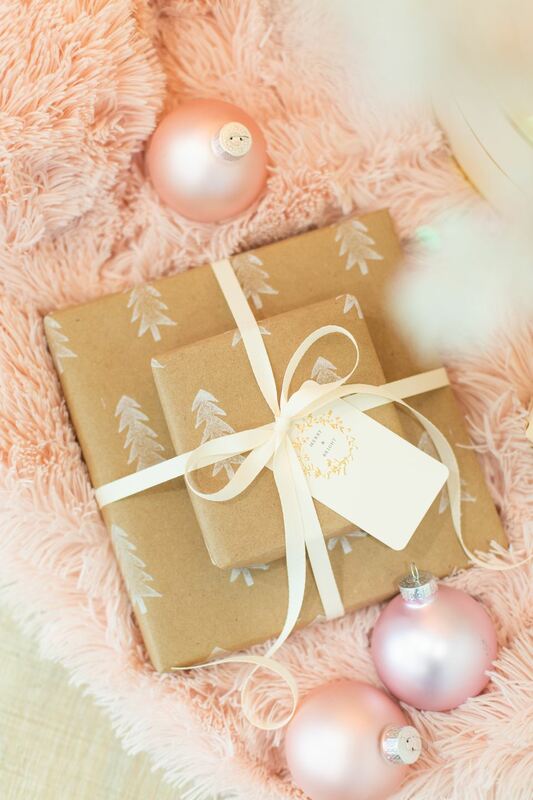 Place your pretty, hand-stamped gift wrap under the tree and enjoy!